I am jumping on the blogger gift guide wagon this year! I am going to do one specific gift guide for each of the Sunday's in December leading up to Christmas. 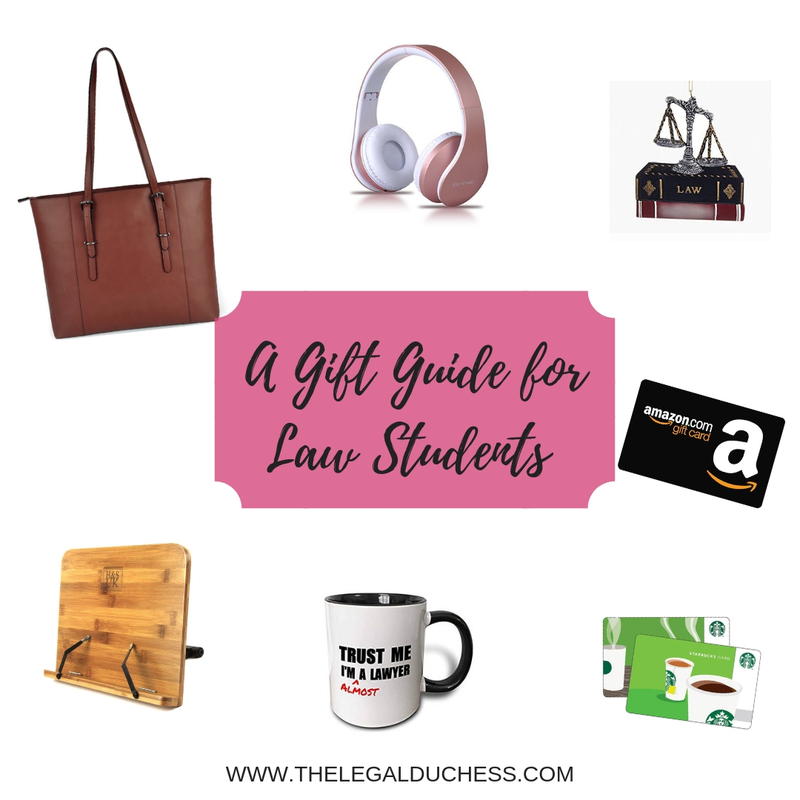 Today, I am doing a gift guide for law students! I found a variety of things that are either useful to a law student or just something sweet that they can enjoy. 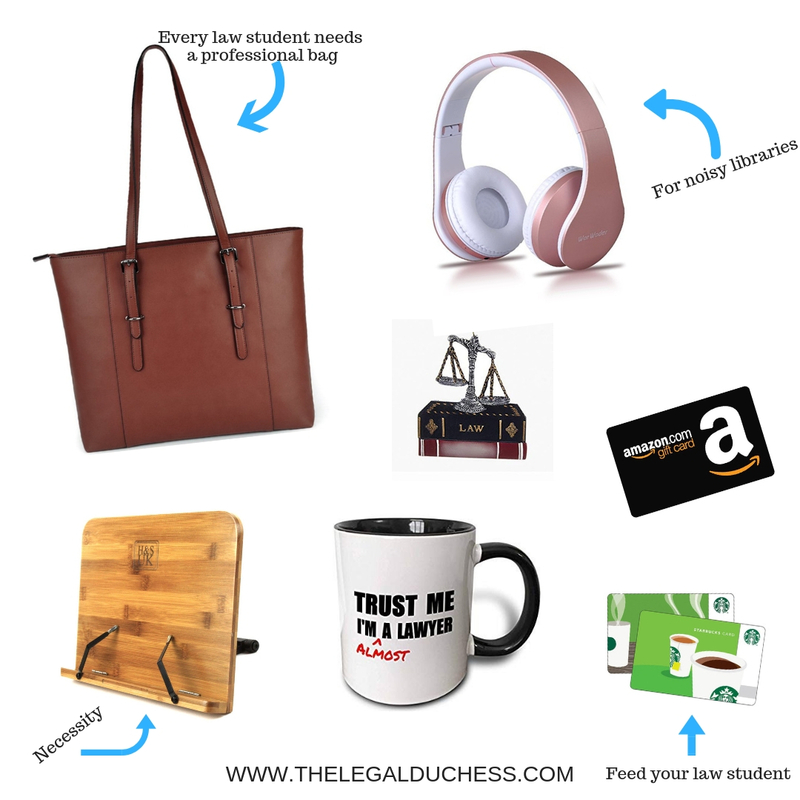 So this is for friends and families of law students who are struggling with what to buy the law student in your life. Law students spend hours upon hours studying. Help them listen to study playlists or block out the sounds of the library with a nice set of Bluetooth wireless headphones. I have this exact pair and I use them all the time. Do a favor for your law students neck and get them a book stand! These handy little devices prop up a book or notes so that reading is easier and can be done with better posture. I use mine ALL the time! My husband got this for me after my first semester of law school and I love hanging it on the tree. Becoming a lawyer has been my lifelong dream and I am so close to finishing. Maybe someday I will hang this ornament on a Christmas tree in my future office! Another gift my husband got me during my first year. I love it. Perfect for the (almost) lawyer in your life! This Mug is also adorable for any law student or legal professional!! Every law student will need a quality professional bag at some point (internships, interviews, etc). This is the perfect gift for the law student in your life! Law students are usually poor and hungry. Gift cards for restaurants or coffee shops will be very much appreciated by the law student in your life. Again- law students are poor and casebooks are stupid expensive. An Amazon gift card to help purchase Spring semester books would be a great gift for any law student.